Collage.com is a Michigan-based ecommerce company that makes it easy to create your own professional-quality custom photo products. They offer more than 50 products—such as books, blankets, t-shirts, calendars, and more—that anyone can customize simply by uploading their favorite photos. The Collage.com team takes pride in their outstanding customer service, and they’ve been using using Olark Live Chat to help customers since 2014. I talked to Marketing Director Graham Davis to get the inside scoop on their experience with live chat, their advice for other live chat teams, and their plans for the future. Tell us a little more about the Collage.com customer service team. Great customer service is one of the things that sets Collage.com apart. Our Customer Satisfaction team is available to help with any question or issue via email, phone, or chat, 7 days a week. We’re proud to have expanded the team significantly as our business has grown—from 3 people in 2013, to 15 today—with everyone still based right here in our home state of Michigan. Why did you decide to offer live chat? We started using live chat because we believe it’s essential to meet customers where they are. Because we offer custom products, many of our customers have very specific real-time questions that might block them from submitting an order. Chat is the ideal way to answer those questions. For example, we often field questions about the type of care an item will require (“how can I wash a photo blanket?”) or about how an item will look with a certain type of photo or number of photos (“is 5 photos too many for a mug?”). Our Customer Satisfaction team members are experts on our products, so if a customer asks one of these questions over chat, they’ll get an answer in seconds. It’s pretty clear from the numbers that our customers love having live chat as an option. Last year, our team handled more than 140,000 chats—that’s an average of almost 400 chats per day! Why did you choose Olark? As a company with strong roots in Ann Arbor, Michigan, we’re always looking for opportunities to support other local businesses. We were excited to find an Ann Arbor-based live chat partner in Olark! But the local connection was just the beginning—we’ve stayed with Olark over the years because they’ve been so easy for our team to work with. They really listen to feedback and have even built major features we’ve asked for, like an agent activity dashboard that allows us to track the performance of our individual customer satisfaction team members. What are some of your favorite Olark features? We love Olark’s clean, easy-to-interpret reporting. Our team doesn’t have to wade through tons of noise to see what’s really important, and having real-time data helps us ensure that we’re providing great service during busy periods like the holiday shopping season. When I’m reviewing our reports, I pay close attention to how customers are rating our team’s responsiveness, knowledge, and friendliness. I also review chats that received a 5-star customer rating, so I can understand what great service really means from the customer perspective. Finally, I keep an eye on the trend in our median initial response time to ensure that our customers are always getting quick support when they need it. Olark’s built-in search tools are also really helpful. The ability to search transcripts and records allows us to go deep into our team’s chat history whenever we need to validate an idea or diagnose a problem. For example, we’ll do a quick transcript search if we need to verify that what seems to be a one-off customer issue isn’t actually a wider problem. Do your marketing and/or sales teams use Olark? Yes! Our marketing team reviews data and transcripts from Olark to get a sense of why our customers come to our site and what issues they’re facing. This helps us position our products in a way that resonates with our target customers. We’ve gleaned valuable insights on everything from the words we use to describe products on our site, to deals our customers would love (more free shipping! ).Conversations with customers have also given us new ideas on creative uses for our products, which helps us evolve our marketing and positioning. Having all of our chats with customers in a centralized, easily searchable place makes it easy for our marketing team to access this treasure trove of information. And Olark’s tagging functionality makes reviewing transcripts much more efficient. We use tags to easily surface chats around topics that come up frequently, such as shipping questions, photo uploading issues, and questions or feedback related to specific products. Any advice for other ecommerce teams getting started with live chat? Share information! Some companies wall off their customer service teams, which is a big mistake. Clear communication between front-line customer support and the rest of the company makes everything we do at Collage.com better, since all of our decisions are informed by real customer feedback. For example, our engineering team uses chat transcripts to investigate and fix technical issues. Because we’re able to tag our transcripts with issue keywords, it’s fairly easy for an engineer to search through the transcript record and get a great sense of where and how customers are encountering a problem. If a certain chat transcript is highly relevant, we’ll attach it to a ticket in JIRA (the tool our engineers use for task management). On the marketing side, I love to watch incoming transcripts when we’re launching a new product—the real-time customer feedback helps me make our product explanations and positioning much more effective. When we started seeing repeated questions from customers about how big our photo blankets were, for example, we realized that customers needed a better way to visualize the blanket sizes. 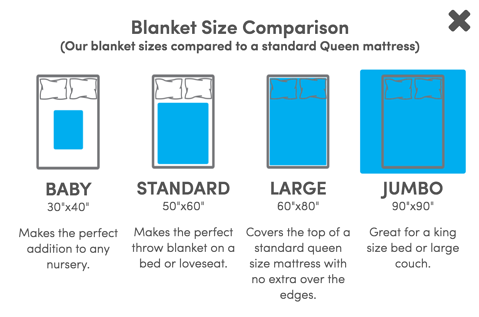 After reading through some transcripts to understand the questions we were getting, our team developed a "size factor" graphic that compares the size of our blanket to a standard queen mattress. 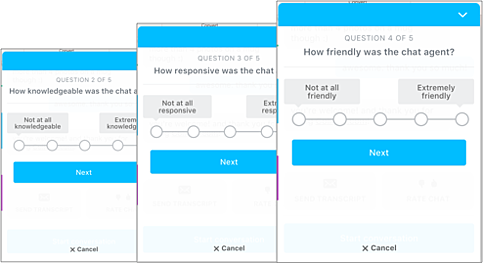 What’s next for your live chat team? We’re always looking for new ways to use chat to improve our customer experience. Right now, we’re considering adding targeted chat rules to reach out to customers proactively; we think this could be a great way to understand and alleviate more of our customers’ pre-purchase questions. Anything else I should know about Collage.com? We’re a close-knit team and love spending time together. We all meet twice a year in Ann Arbor for a company retreat, and usually wind up at one of our founders’ favorite college karoake haunts. If you’re in town, you might just have a chance to hear our rousing rendition of “Total Eclipse of the Heart”! We also love our pets—in fact, almost everyone on our Customer Satisfaction team has a furry friend. As Olark's Story Sherpa, Kate is responsible for shaping and shepherding human-centric stories of sales and support (say that ten times fast). 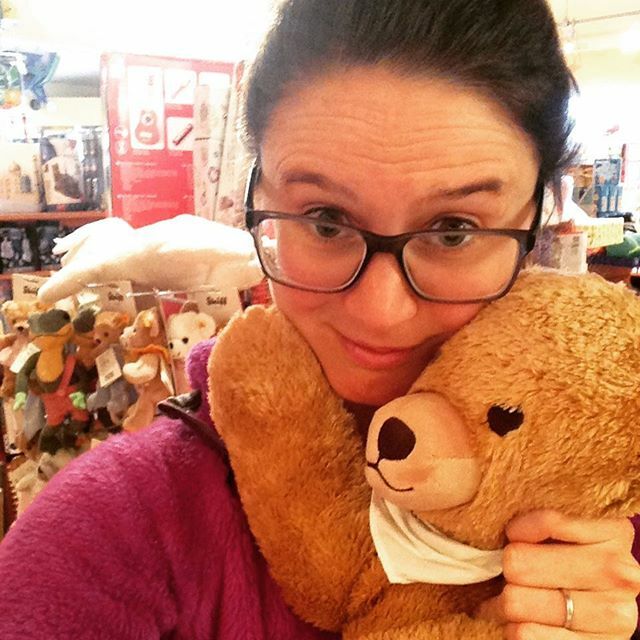 In her free time, she enjoys mountain trails, bear hugs, and chocolate everything.